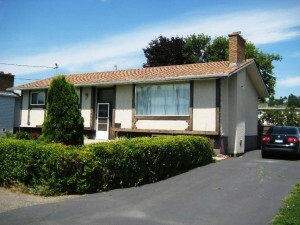 Spacious & bright family home in great area. 3 bedrooms up, 1 down & 2 full bathrooms. the fully finished basement has a hobby room, rec room & lots of storage. Beautiful yard with U/G sprinklers & new covered deck. Many updates include: new flooring, roof, kitchen counters, H/W tank (2 months), furnace (6 months), storage shed, windows, insulation in ceiling, gas fireplace insert & more.